Little Savannah was wide-eyed and ready to smile for the camera when she came in with Mum and Dad for their first official family portrait. 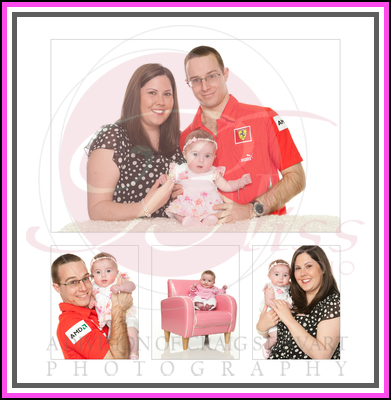 It was smiles all round for this occasion and the result is a beautiful family portrait ready for the wall. Four month old Savannah came to us through our partnership with Baby Expo. 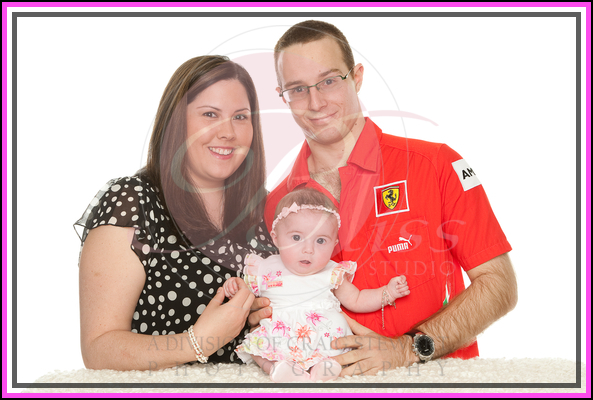 Customers that purchase goods over $50 at Baby Expo are then given a free portrait session with Bliss Studio. An excellent partnership that has seen some very happy people come to Bliss Studio to take up the free offer. When new babies come along it is often such a hectic time that the time to find a quality photographer to capture all those early moments can slip down the “To Do List”. So with our voucher we have made it very easy. Simply call up to make your booking and that is all you need to do. Savannah and her parents are two more happy customers and we look forward to following Savannah in later years.